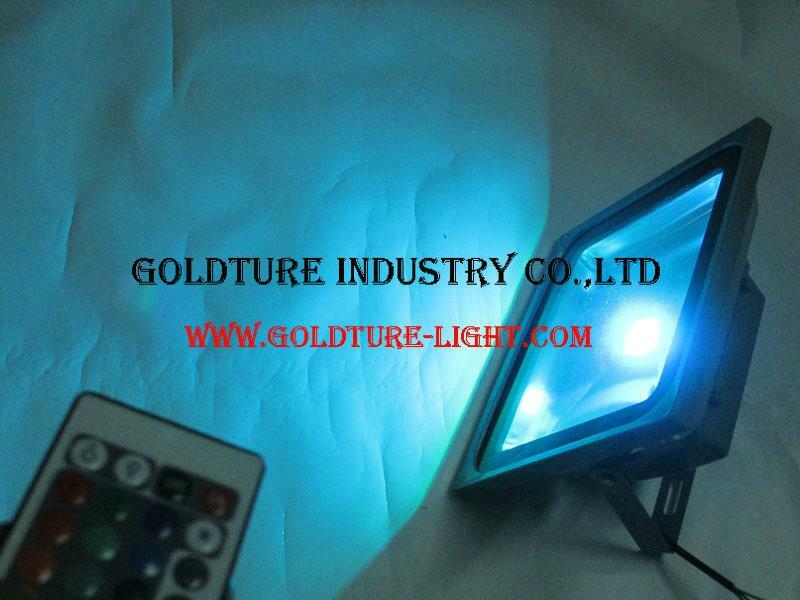 This RGB LED floodlight with Remote Controller is designed for easy installation and convenient operation for everyone. 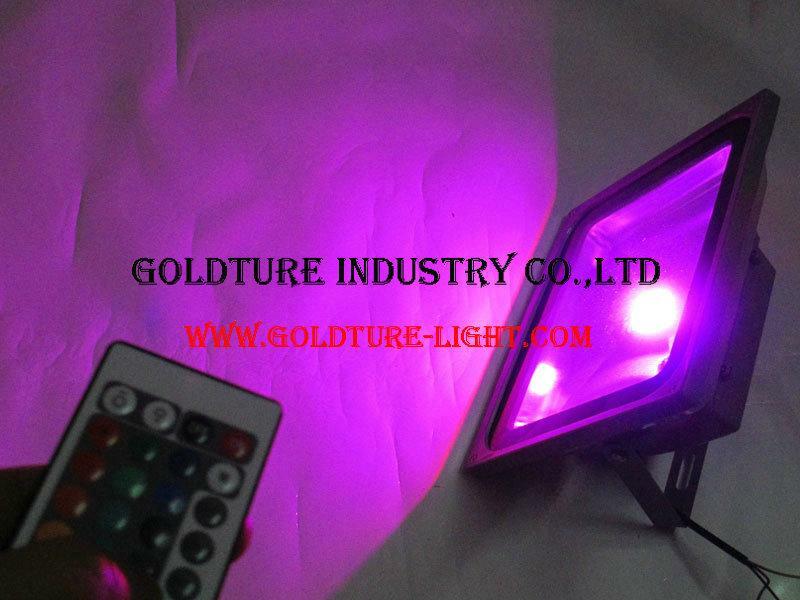 You can use the Remote Controller to change the colors and programmes of this light for better lighting and decoration in your garden and yard. This Sliver RGB LED flood light makes great replacements for halogen and metal halide floods and can be used for a fraction of the cost. 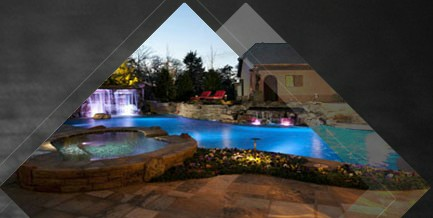 For example, it’s capable of producing 1500-1700 lumens, using just 50 watts of electricity. With a 35,000 hour life span and a low power consumption, it will help cut your electric bill dramatically, saving near 80%. Significantly, using so little energy and still getting a high powered light, you will also be doing a little bit more to help us save the environment. 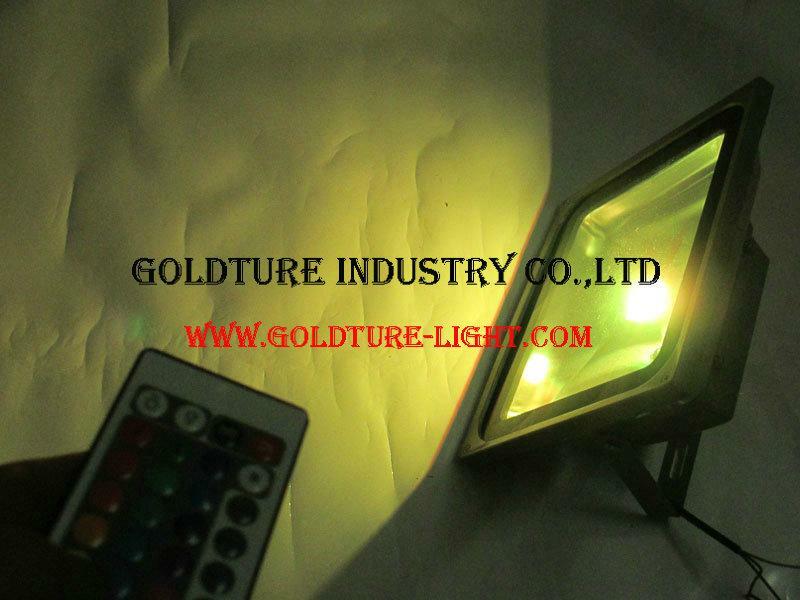 This RGB LED Floodlight can be wide used for most public places, especially parks. 1. Waterproof. This RGB IP65 (IP65=waterproof) LED Floodlight is suitable for both indoor and outdoor use. 4. Longer life service time. Ensure the normal use of more than 35,000 hours. After easy installation for the LED Floodlight, you should read this instruction about how to use the Remote Controller to operate this light. 1: Before using this Remote Controller, Please remove the battery spacer in the bottom. 2. Light "OFF" or "ON" button; brightness “UP” or “DOWN” button. 3. If you want to change the color, just press the relative color button shown on the keyboard. 4. "FLASH": colors changing mode. 5. "STROBE" and "FADE" is to change the speed of colors changing. 6. "SMOOTH": return to the original state. 7. If you want to re-rank the order of these 24 colors, following the picture’s steps. 1. This package is a Floodlight with one Remote Controller. 2. Please note the operation temperature of this Silver Integrated IP65 LED Floodlight is between -25℃ and 55℃. 3. You’d better store it in a dry place, temperature between -25℃ and 35℃. 4. Please check the specification of the product carefully before ordering to insure a proper fit, especially its body size, light color and wattage. 5. Please cut off power supply before installing this light. 6. Do not disassemble any lights by yourself. 7. Swapping your existing floodlights to LED lights will not only increase your bank balance but also help save our planet by reducing your carbon footprint. 8. All pictures above for reference only, please in kind prevail.